Moscow, 18 August 2009, -- Excalibur Almaz Limited (EA), an international space exploration company, today announced plans to open up a new era of private orbital space flight for commercial customers, using updated elements of the "Almaz" space system originally developed by JSC MIC NPO Mashinostroyenia (NPOM) of Russia. Realization of EA's project with technical assistance from NPOM will allow regular access to and from space. This project joins Russian space technology expertise with an international private enterprise to create a commercial offering of orbital spaceflight services for global customers. The original Almaz space system technology, comprising reusable reentry vehicle (RRV) and space station, was successfully tested in flight by NPOM. Working with NPOM and its international contractors, EA is now updating the spacecraft to conduct crew and cargo space missions for private individuals, corporations, academic institutions and national governments. EA Founder and CEO Art Dula said, "Through cooperation with NPOM and with the support of leading space contractors around the world and an exceptionally strong management and advisory team, EA is in a unique position to initiate a new era of private orbital space exploration." Cosmonaut Vladimir Titov, advisor to EA in Russia, said, "With this announcement, the dream of private orbital space exploration may become a reality in the very near future." 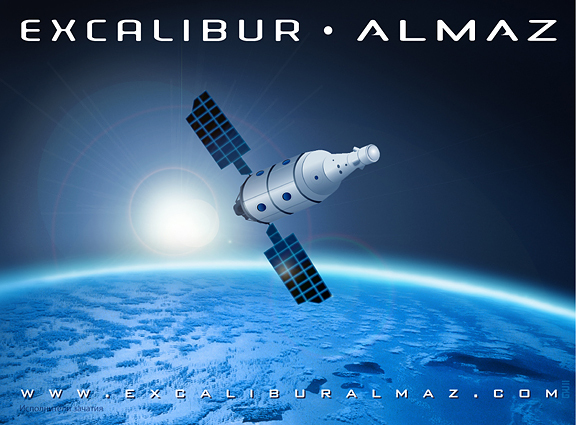 EA has ownership of several Almaz spacecraft, including reusable reentry vehicles (RRVs) and space stations. EA will tailor space missions to accommodate customer objectives including exploration, cargo transportation and experimentation. On selected missions, spacecraft and space stations would provide platforms for microgravity scientific experiments, potentially serving the needs of governments and academic institutions. EA's spacecraft will consist of two parts: an RRV and an expendable service module to provide crewmembers with room to comfortably operate during spaceflight. EA will update the Almaz RRVs with flight-proven technologies where appropriate, while retaining tested legacy systems to ensure safety and economy of operation. A critical feature of the RRVs is their reusability, which will reduce logistical, overhead and program costs for commercial access to space. EA plans for its spacecraft to be compatible with a number of launch vehicles and capable of being launched from worldwide sites. In addition to NPOM, leading aerospace firms contracting with EA include Space Flight Operations (SFO), a subsidiary of United Space Alliance, of the U.S.; Paragon Space Development Corporation of the U.S.; Qwaltec of the U.S.; EADS Astrium Space Transportation of Europe; and Japan Manned Space Systems (JAMSS) of Japan. EA has also formed strategic alliances with academic institutions including Rice University of the U.S and the International Space University of France, and is an Industry Forum member of the National Space Biomedical Research Institute of the U.S. Established in 2005, EA is incorporated, headquartered and registered on the Isle of Man in the British Isles. EA's support contractors are in Russia, Europe, Japan and the U.S. EA's founders, executives and advisors include astronauts, cosmonauts and commercial aerospace business entrepreneurs. 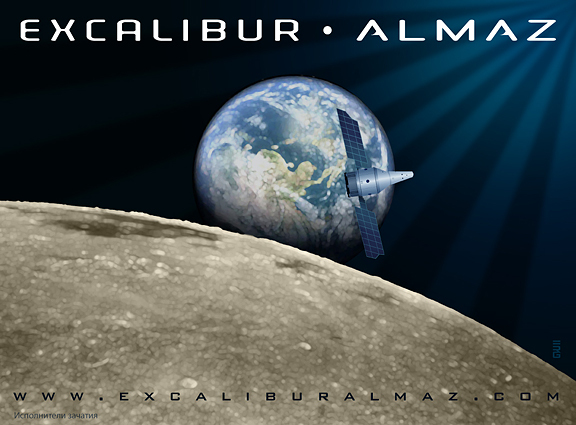 The Almaz program was a military space program of the Soviet Union. The rocket and space complex "Almaz" developed at NPOM comprised orbital manned space station, transport vehicle, reusable reentry vehicle (RRV) for 3 persons, a cargo capsule delivering information to the Earth, and ground support facilities. This space complex was successfully tested both on the ground and in space. Three crews of Soviet cosmonauts worked on the manned orbital space stations. The RRVs went through nine flight tests, with two RRVs flown to orbit several times, demonstrating their reusability. The rich legacy of the Almaz program continues to live in all space stations built to date. The orbital manned Almaz space station is the origin of the Salyut and Mir space stations, and the International Space Station (ISS) inherited from Almaz the configuration of its main service module "Zvezda". The Almaz transport vehicle provided the basis for the ISS module "Zarya," and also for the Salyut-7 space station module Kosmos-1686 and a line of modules for the Mir space station. \r\n\r\nMoscow, 18 August 2009, -- Excalibur Almaz Limited (EA), an international space exploration company, today announced plans to open up a new era of private orbital space flight for commercial customers, using updated elements of the \"Almaz\" space system originally developed by JSC MIC NPO Mashinostroyenia (NPOM) of Russia.